Dog training classes, 121, home visits, tracking and search classes. From puppy to adult, problem dogs welcome. Informative lessons to help educate the owners. Great fun for the dogs too! Mark came highly recommended to us and he didn't disappoint. Would highly recommend. Great classes for the humans as well as the dogs. Builds confidence and knowledge and helps create a great bond and trust. Classes and the expertise cover puppies, rescues, breed specific & behaviour advice. With 121 sessions available, agility & tracking. We have pretty much used everything available at the Dog Academy, even got the dog food, toys & leads. Our rescue dog came on in leaps and bounds and is a happy balanced dog who just loved going to classes. We joined Mark's classes as soon as our Golden Retreiver had gone through his injections. The classes are good fun and the time passes really quickly. The important messages are clearly delivered and everyone is clear about the homework that has to be done in the week ahead. 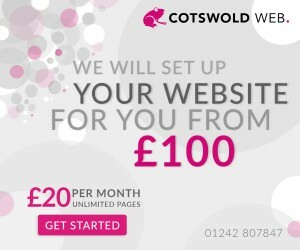 I am very happy to recommend Mark and the team. All ways fun in the puppy classes on Sunday mornings, Carla is always excited to see her friends. Mark makes the training accessible to all ages both the puppies and their owners. The classes are varied and keep the interest of all who attend, Mark also has advice for all should they need pointers in handling and obedience when you are just starting out with you new puppy. We originally contacted Mark and Julia to help with the confidence of our young Springer Spaniel after he was attacked by another dog but quickly decided to attend regular training classes with him. 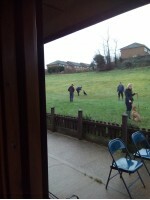 With their help he made good progress and their positive, reward based training methods suit our attitiude to our dogs. We now have 2 dogs attending classes regularly and are very pleased with the impact Dog Academy training has had on their general behaviour. Good Boy Ben is all I've ever had to say to my Labrador after training with Dog Academy. Mark and his team are surely the best. 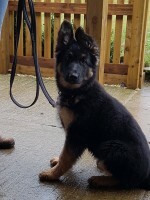 I took Ben to puppy classes there and six years on we both still enjoy engaging with classes; now agility and search. Unlike some trainers who pontificate and lecture Mark is all about everyone having fun, empowering the 'human' and making sure the dog has fun. Ben's a boisterous fellow but does everything he is told thanks to Dog Academy training! Dog Academy is a brilliant training school. 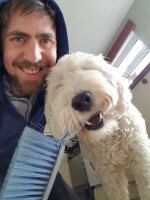 I've been brining my goldendoodle since he was 12 weeks and he is now 1.5 years. We've moved up through the classes, learning lots of new commands and he is now doing agility training as well. Jasper gets so excited when we turn up, we can't rate it any higher! Training is in a field so much easier to transfer training to real life. Mark is knowledgable and patient. He shares his many years' experience as a police dog trainer in an accessible way and never rushes you or your dog. 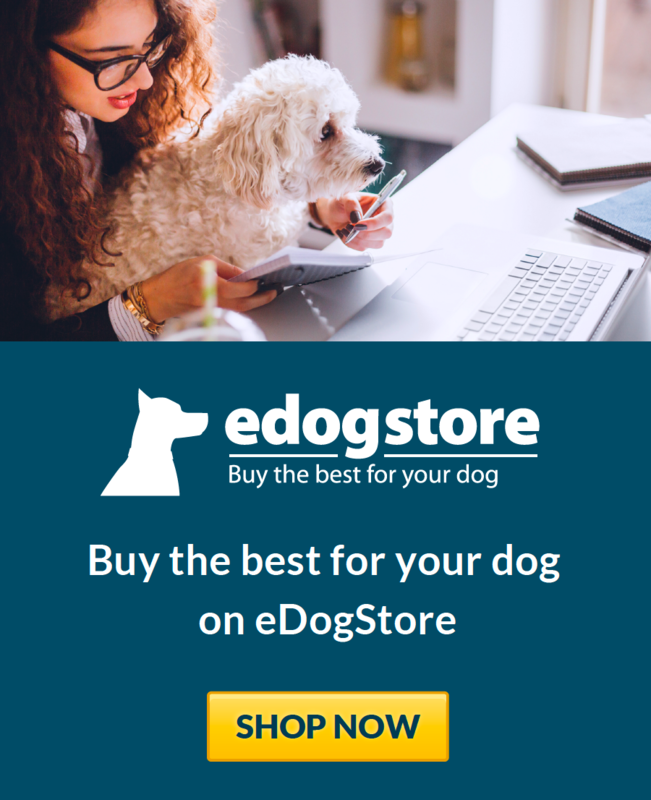 His mini shop of dog accessories is very competitively priced, meaning you can always grab what you need. You are taught valuable skills for working with your dog using a wide variety of fun activities. Having trained all of my dogs here over the past decade, I haven't seen him fail a dog yet. I have just started taking Teddy to Mark's agility class on a Wednesday. At 11 months old Teddy has just discovered his independence and I need to learn to keep him occupied, busy at the same time as having fun together. After just our first class with Mark I was very impressed with his knowledge and ability to adapt the lesson to each dog. We are both eagerly looking forward to our next session. Training is fun and relevant. Maisie particularly loves the Sunday class which is a mix of obedience and agility - she absolutely loves running through the tunnels!! Would definitely recommend Mark and the Dog Academy team. We have a Hungarian Puli she has increased her confidence and concentration since attending and now she has passed as a PAT dog - not bad for 4 months of being with us. Training is great and we are very pleased. I have a Cairn terrier who is independent and easily distracted but have loved coming to Dog Academy for training. Mark makes the sessions fun but purposeful and both Ruby and I have learnt a lot! We spend some time doing obedience training and then Mark breaks the session up with some basic agility activities such as running through tunnels or weaving through poles. The variety of exercises mean neither dog nor owner get bored or frustrated. We have a 11 month old daschound who wouldn't listen. We could never let him off the lead as we'd be worried he would run off. We took him to Marks classes on Sundays, he is now a totally different dog. He comes back when you call him and we have no worries about letting him off the lead. Mark is absolutely great! Always having a laugh and a joke and really makes it fun for both us and the dogs. We will be looking at getting another dog in the near future and it will defiantly be coming to Mark. I Have six large breed dogs all of which at some point have had training by Mark and Julia .... both of whom I totally recommend. They have more experience with dogs than any other dog training centre I know of and I know a fair few ! I had an issue with my eldest boy who was becoming over protective of the car and house , mark gave some fantastic advice when he came round my house for a one to one and totally put my mind at ease . The location is perfect, plenty of space for the dogs to spread out and most importantly they both make training Fun for not just your dog but you too ! I have just got a new puppy ( I usually rescue ) and I can't wait for him to get started ! I wanted training for my GSD Thorn that is pressure free and fun. That's exactly what I have found with the Dog Academy. Thorn loves his Saturday training session and has just started to do an extra session on a Wednesday which involves a mix of agility, search and obedience. The variety suits him and he is always keen to jump into the car to go to his sessions. 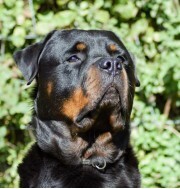 Classes are kept to an appropriate size to give the most attention and education to each dog and owner. Getting the help from Mark we needed for our dog has literally changed ours lives for the better. After believing there was no help, Mark gave us all the tips and helped us with our once fearful aggressive Jackhuahua, as I write this Scooby is currently playing with a family members puppy and earlier on playing with other dogs in the park.. If anyone had told me last month Scooby could be the lovely dog he is now I would have bet a million it could never happen. Thankyou so much for all your help! I can't recommend you enough! I have grown in confidence in handling my lively Labrador since attending classes at the Dog Academy. Daisy has always been anxious around other dogs and would react when out on walks. After attending classes at we have both become able to manage situations which before would have led to reaction on her part and stress on mine . Classes are friendly and we always have fun, which makes us look forward to Monday mornings. Thank you so much Mark and Julia. I have been going to classes with Dog Academy for some time and cannot sing their praises high enough! I first made contact with Mark within a few week of getting my rescue dog, Charlie. Charlie had had a difficult life and whilst he was great with people, at around 6 years old he had had virtually no training and had clearly not been socialised with other dogs; he hated them and his first instinct was to attack! I could not let him anywhere near another dog let alone go for a walk with one. The first class I took him to I literally had to cling on to the fence to hold him back from the other dogs. Now, after much patience and perseverance Charlie is quite happy with other dogs, I can walk him with others, he plays and loves to meet his "friends" in, and out of, class. He knows all his commands and is in the adult/advanced class now, something I would never have thought possible. Proof that with the right trainer you can teach an old dog new tricks! 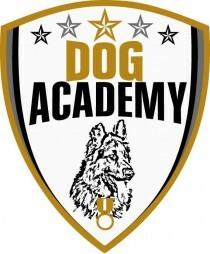 I do not hesitate to recommend Dog Academy. We rescued a dog in November and pretty much started classes straight away. We also booked a 121 session with Mark as our walks were akin to a tug of war. Within minutes Mark had stopped her pulling like a train and had her walking on a slack lead. He has TAUGHT us how to behave, which in turn reinforces the good behaviour in our best friend as she now knows what is expected of her and there is no confusion. I would a million percent recommend a 121 session as this has given us so much confidence and going to the classes builds on what we have learnt. The classes are held in a secure large open space and everyone is very friendly and welcoming. Up to now taking my 2 dogs for a walk together has been virtually impossible. My little dog, Teddy, would shiver and shake at the sight of his lead and I could not get him to go for a walk without carrying him to the local park where he would then happily run around. Mark was fantastic. Within 30 minutes we were able to walk around the block and walk pass the front door without Teddy running towards it. Mark recommended I walk my two dogs separately until Teddy used to going for regular walks. That was 2 weeks ago. For the last week I have been able to walk both my dogs together. I am so delighted and I highly recommend Mark and Dog Academy. Excellent value for money. My bull breed dog is 6 years old, pulls me everywhere, I was embarrassed to leave the house, I call Mark and he was able to fit me in the next day, he cane to my house and within 20mins I was walking with my dog at heel, wow! It's now a pleasure to take my dog out, I can't not recommend Dog Academy enough, I now take lessons with them, home visit or lessons I can't tell you how good they are! Give them s go first. i have been taking willow to dog academy for 16 weeks now and the difference in her is fantastic, she was a rescue dog and found in a bad way, taking her to dog academy has been a great help and she loves it. i now also take her to the agility class that is run by mark and i didn't think that she would do it but she does and goes though the tunnel which for a very nervous dog i didn't think willow would . A big thank you to you all at dog academy i couldn't of does it without you all. With this being my first puppy, I had no prior knowledge of dog clubs. Mark has put me at ease. He made me feel really welcome at the group and My puppy and I both had fun. Looking forward to going back. I definitely recommend this club to anyone. I need help with my dog who was very lively and kept pushing the boundaries. So we took her to Dog Academy for help. After several training sessions it was like she was a new dog. Mark is 2nd to none with his understanding of are issue and how to best train shadow. Since the training she is a much better behaved and beloved family member. I would recommend his classes to anyone. Plus the animal food he sells is value for money compared to most pet shop prices. Gave me so much confidence to crack on with trying to socialise my little dog whose background is unknown as a rescue from Battersea. After a course with Mark and his team Bobbie had started to not notice the other dogs and began to enjoy them being near him. It was also such fun and no pressure. The photo shows my very happy Bobbie in front walking with other dogs. Before I took him to Dog Academy he would freeze and not move when he saw another dog. He was 4 when he came to me with fear aggression and not socialised at all. I tried for a while on my own but my confidence needed help as much as Bobbies did. So glad I had been introduced to Dog Academy. I now have a confident little boy who is happy to be out with other dogs and meet new friends. He does not show any aggression at all even if a little fearful from time to time. What Mark does not know about dig training is not worth knowing and once you've mastered the basics he offers agility training as well. Does a great line of accessories and foods even for my cats as well. Working farm with a 4yo whippet that had just found out how good young lamb tastes. She had killed 3 and Dog Academy was her last chance or she would be visiting the pearly gates. After 5 1-to-1 sessions with Mark and some homework she is back to herself and I feel confident with her having free run of the farm again. Thanks Dog Academy.